Congratulations on your engagement! We are so excited for you both 💎💍👰🤵! Now it’s time to take your engagement photos (because if there are no photos did it even happen?). 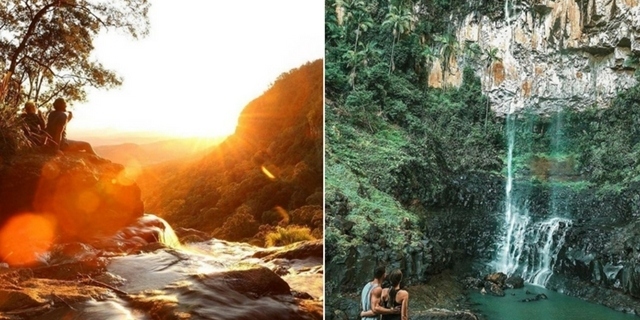 Here are our favourite, picturesque South-East Queensland backdrops. There are simply too many gorgeous parks in Brisbane to list them all. No matter which one you choose, you can’t go wrong. For a beautiful city view, we suggest dropping by Kangaroo Point, for a spot of colour try New Farm park when the jacarandas are blooming, and for a classic, year-round option, the botanical gardens will be perfect. If it’s a classic look you’re after, the Brisbane Powerhouse or Old Government House at QUT are close to the city centre and make for sophisticated backdrops. Although it’s a little further out of the city, the Shorncliffe Pier is fairly quiet and surprisingly breathtaking at sunset. If you’re a Toowoomba local, you will be familiar with the go-to photo spots: The Japanese Gardens, Picnic Point, and the Bunya Mountains. These places are the go-to because they are beautiful and have many spots to get the best pic. If you’re looking for something a bit different, however, we would suggest finding your favourite graffiti or down by the railway. If you’re looking to go even further out of town, you should head south towards Allora and Warwick. On the way, you can stop and smell the sunflowers. Okay, well you don’t really smell sunflowers but they are more common than roses out that way. Queen Mary Falls after some decent rain will also provide stunning scenery for your engagement photos. Pretty much anywhere along the coastline will be a great spot for engagement photos. We suggest finding a quieter location with fewer people to work around. If you head a little further south, Lennox Head or the Pat Morton Lookout on a quiet day will suit nicely. Well obviously everywhere in the Hinterland is making this list. Morans Falls in Lamington National Park and Purling Brooks Falls in Springbrook National Park are particularly stunning - just look at these photos! They are clearly great options in the Gold Coast Hinterland. But how about the blue waters of Tallebudgera or the Botanic Gardens in Benowa? If you’re feeling a little more adventurous (and aren’t as concerned about the quality), you could always opt into a shoot at one of the theme parks or in a sunrise hot air balloon. Of course, your photographer would have to be adventurous too. Better yet - keep it simple. Head down to Coolangatta or Burleigh, or make a day trip to Straddie. The ‘Sunshine Coast’ area is massive so your options are virtually unlimited. 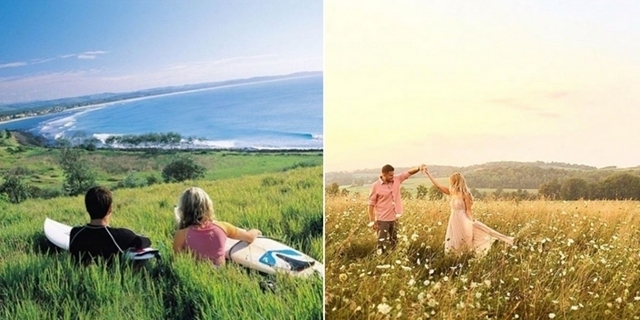 From coast to hinterland, the Sunny Coast is ideal for your engagement photos. 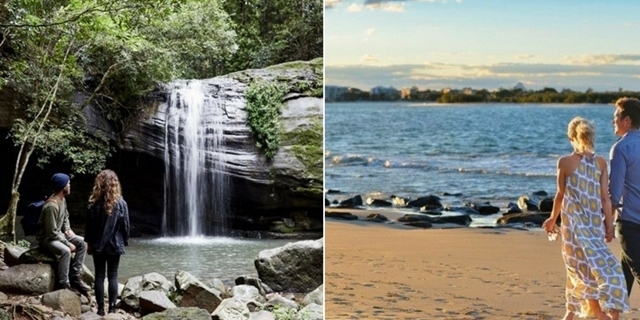 See if your photographer is happy to take a hike to Buderim Forest Park or one of the falls around the Maleny/Montville area. My favourites are Kondalilla or Mapleton Falls, but they can also be quite busy some days. If the beach is more your thing, there are kilometres of coastline from which to choose. Like with any beach shoot, the key is picking the right time of day and location. Your photographer should be able to help with this. Now, don’t think that just because we have only included ideas for outdoor shoots that there aren’t any stunning indoor options too. Venues are always available to hire but when you can get magnificent photos at a free location, why pay more? Unless you can find a killer view for nothing, of course. If you’re a local and have suggestions for more amazing spots, let us know!